With declining funds, increasing demand and high expectation of quality, providing effective public services is becoming increasingly challenging. Helen Nicol outlines how data science could help. Streamlining and developing shared services has been a common response to financial constraints but with increasing reductions in funding, more fundamental transformation of services is needed. There are a growing number of people and organisations who believe that data could be an answer to these challenges, claiming that working with the increasing volume of available data can help us understand, predict and even eventually manage the demand for services. The Network would like to hear from anyone involved or interested in exploring how data science can support service reform. The potential value of data science to the transformation of public services is enormous. According to the Policy Exchange in their 2012 paper The Big Data Opportunity: Making government faster, smarter and more personal, the application of data, technology and analytics can tune front line services more closely to individual needs and behaviours, help patients receive the right medicines at the right times, help personal care to minimise readmissions, better identify the support unemployed people to get into long-term work. Enter stage left the data scientist, a relatively newly discovered genus, with a role first coined in 2008 and considered in 2012 by Harvard Business Review to be the Sexiest Job of the 21st Century. …and how does it relate to the reform of public services? Data science involves the extraction of knowledge from data. It is a combination of computer science, statistical analysis and business knowledge. Data scientists, as Davenport and Patil described, a hybrid of data hacker, analyst, communicator, and trusted adviser. 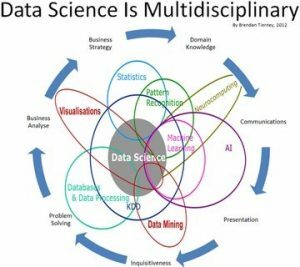 Data science and big data are often mentioned together. The presiding definition of big data is that it is a broad term for data sets so large or complex that traditional data processing applications are inadequate for extracting value from that data. 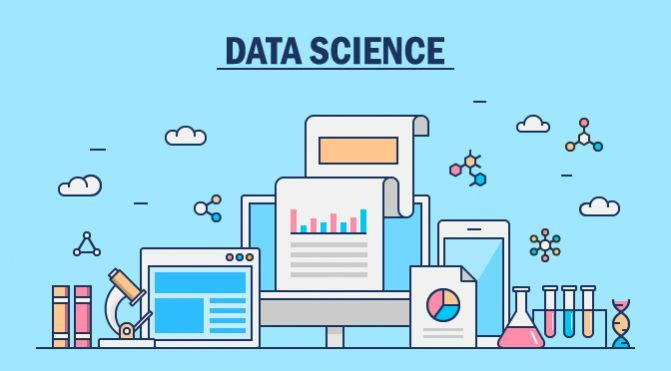 The role of data scientist has come from the need to glean meaning from these large or complex data sets. Researchers from the Telethon Institute and the University of Western Australia and government departments have used predictive analytics to enable them to understand where individual, family and community level changes increase or reduce the likelihood children in Western Australia will experience problems around mental and physical health, education, child maltreatment and juvenile offending. This knowledge is helping them to identify areas of prevention and intervention across multiple government sectors. The Irish Tax and Customs Authority has used data mining techniques to predict whether a tax avoidance case will result in prosecution, putting analytics at the core of its business processes. The MK:Smart project in Milton Keynes is developing innovative tech solutions to support the city’s economic growth using satellite data. Data Science students will be given internships and placements through the MK Data Hub, “creating an environment in which satellite data sources can be exploited for the benefit of the council, businesses, entrepreneurs and the community”. The Greater Manchester Open Data Infrastructure Map uses data visualisation to develop a map of major local physical and social infrastructure, designed to support developers make better planning decisions by identifying relevant local infrastructure and highlighting the potential costs or benefits of new developments. By increasing the available datasets its potential application can only increase. There has been recognition from the UK government of the value of data scienceand big data projects. In 2011, £73M was made available to public sector big data projects, pushing big data as a key economic driver for the UK. In the March 2014 Budget, the Chancellor announced a new Data Science institute, named after computer pioneer and codebreaker Alan Turing, with £42 million of Government support over five years. Cambridge, Edinburgh, Oxford, UCL and Warwick universities were all chosen to break new boundaries in how we use big data. Which is wonderful. But little support has been made available for those delivering public services in local areas, who stand to gain much from a data focused approach to demand management. There is a huge global data science skills deficit, and with reducing budgets, it is unlikely that councils and other public sector organisations have the resources to employ data specialists. Helen Nicol is Knowledge, Capability, Digital and Communities Lead at the Public Service Transformation Network.